The Killerspin MyT Jacket Ping Pong Table Cover is the perfect accessory for your MyT series tennis table, but will also fit many other foldable tables. Killerspin is known for quality and performance. 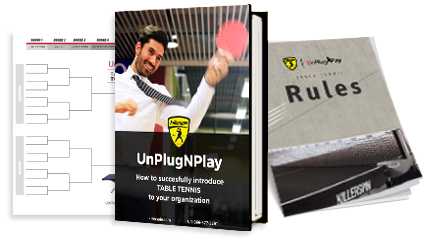 We proudly exist to connect families, friends, customers and employees through luxury table tennis equipment. Our MyT Jacket cover offers superior protection for your MyT series table. Fit and finish is exactly what you would expect from Killerspin. Our cover also fits many other brands and models of foldable tables. Protect your table from rain, snow, dust, dirt, wind and sun. Note: it is recommended to store indoor tables in a climate controlled environment, as indoor table materials are not designed for outdoor use or storage. This cover will not protect against damage caused by temperature or humidity.